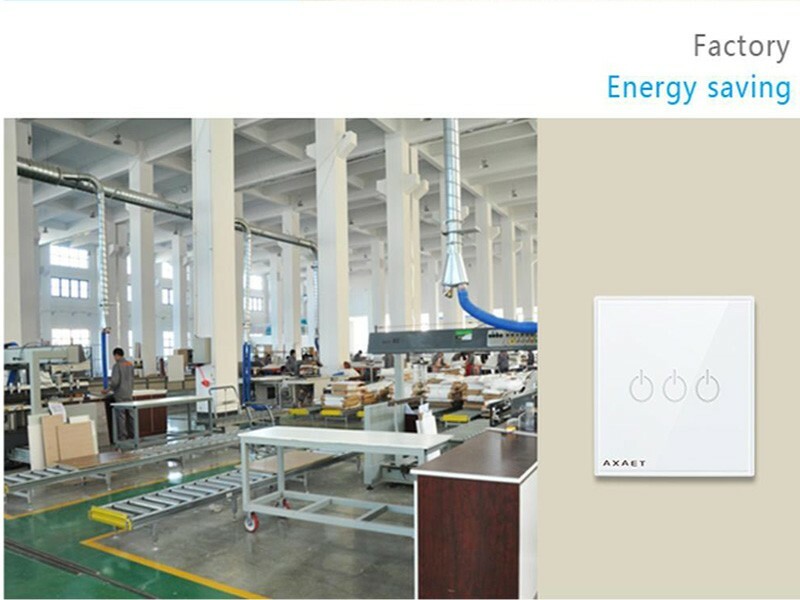 Induction sensor smart electrical switch, it will be a key to create your smart home automation system. 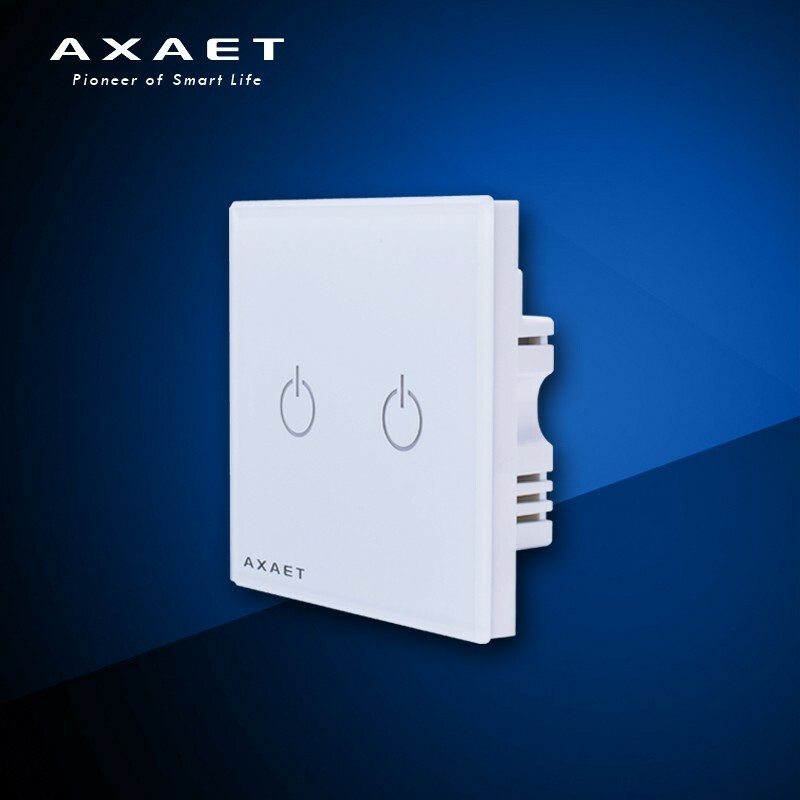 Control your lights, ceiling fans, and other appliances from anywhere at any time with our smart switch. 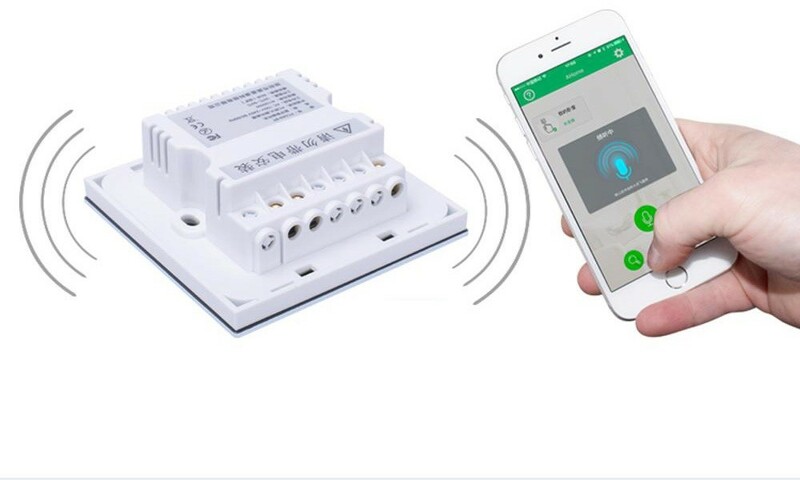 This smart switch installs as easily as a traditional light switch, and connects to your smartphone ble through ETMars App. 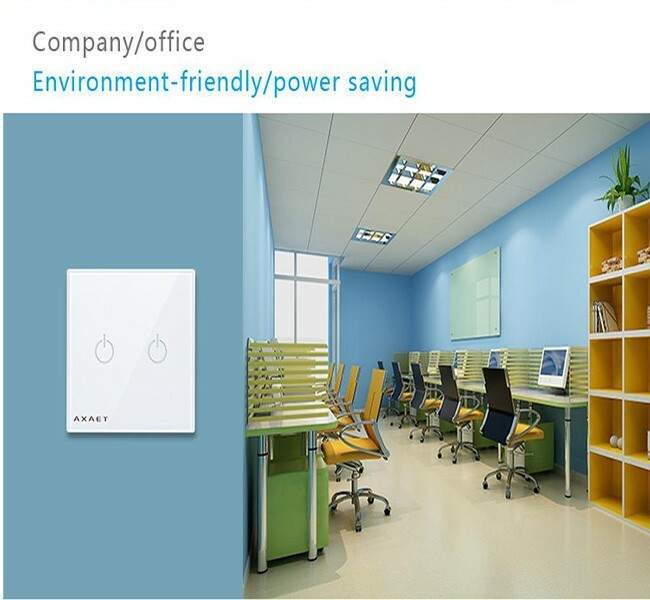 This Wireless Smart Wall Light Switch makes light controlling easier and more friendly! 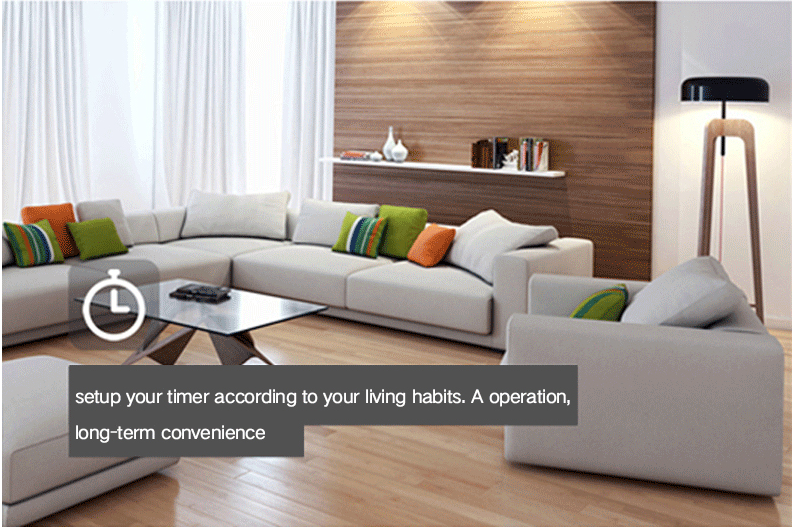 You can also control the lights on the switch itself with a gentle touch. 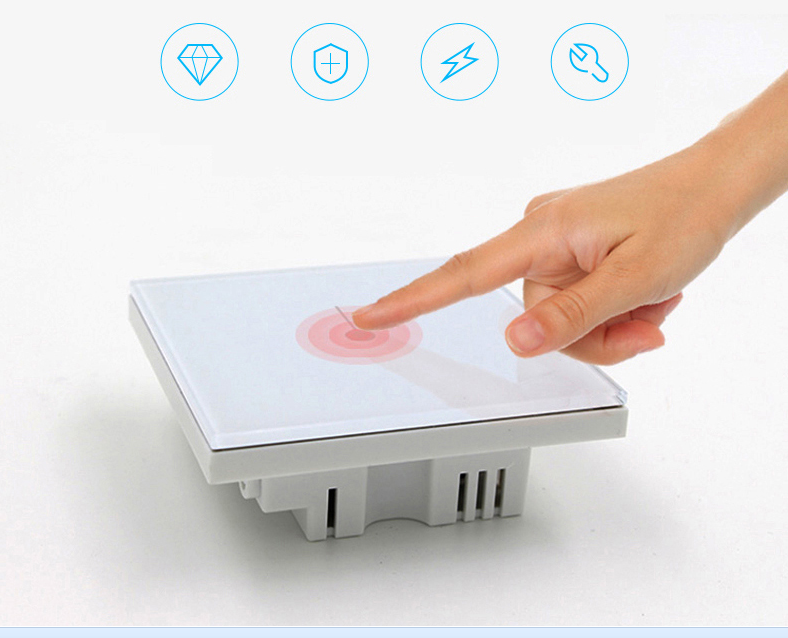 Modern and fashionable appearance with tempered glass panel and induction sensor, switch on/off by one touch. 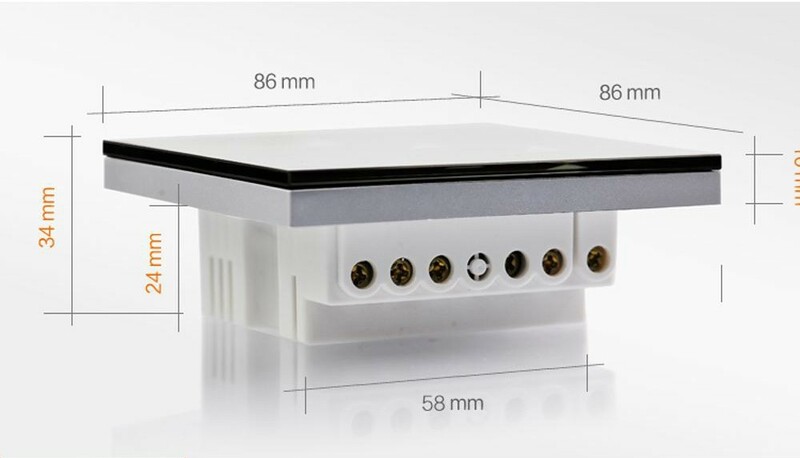 Patented single live design with bluetooth technology, easy installed to replace the mechanical switch directly. V0 grade fire redardant PC shell material with tempered glass panel to ensure it is fireproof and waterproof to keep you and your family from danger of electricity. 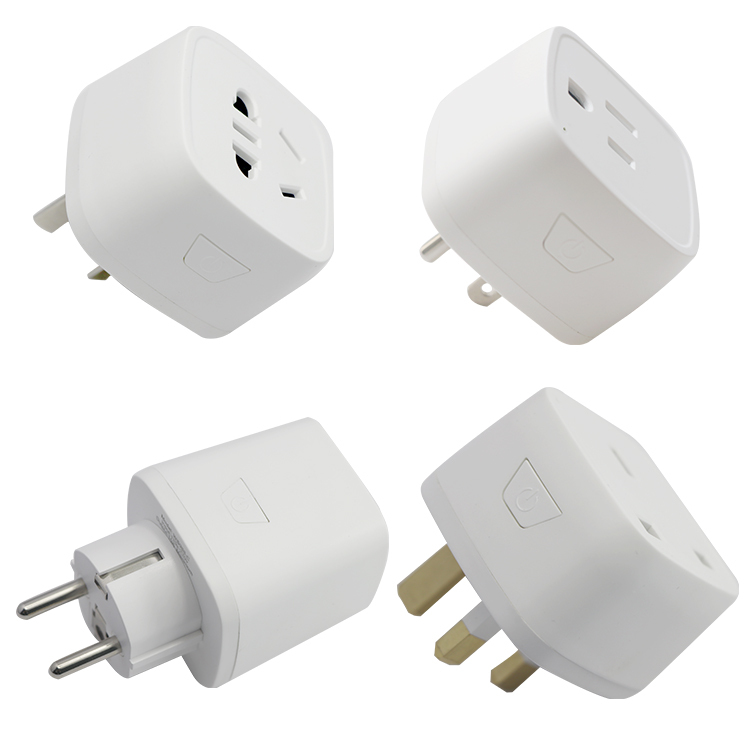 Compact size with universal standard to meet home and office's demand at home and abroad. 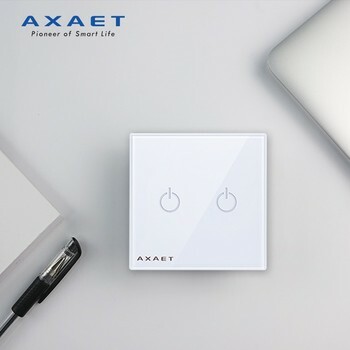 Just download AXAET free App-ETMars, you can control your home or office appliances connected with this smart switch anytime anywhere by voice by time setting. 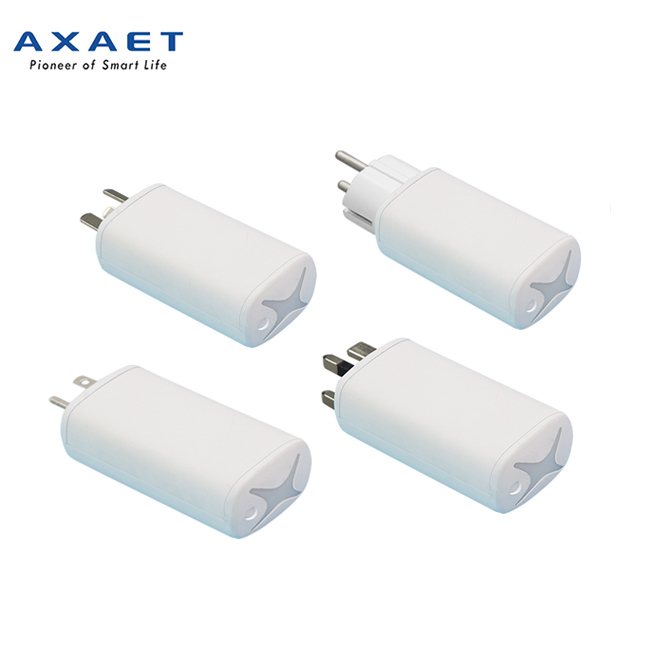 It supports upgrade online with the smart module inside for AXAET light switch, click the upgrading icon in the App, you will get its updated firmware. 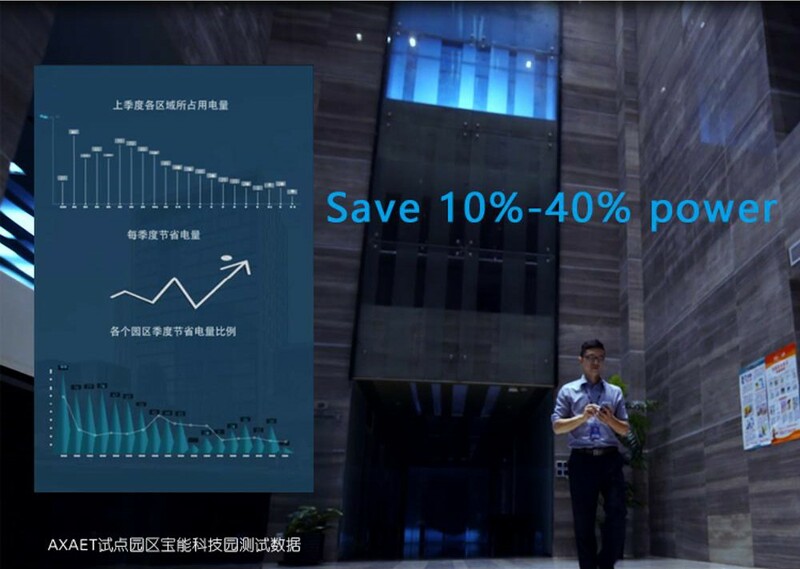 Not Just a Switch, It Brings You More. 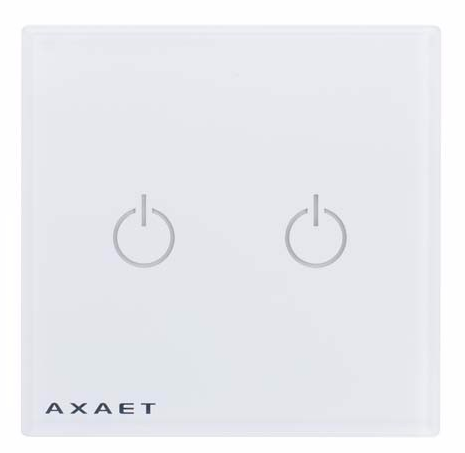 Control your home lighting from anywhere with your smartphone or tablet by AXAET wireless switch. 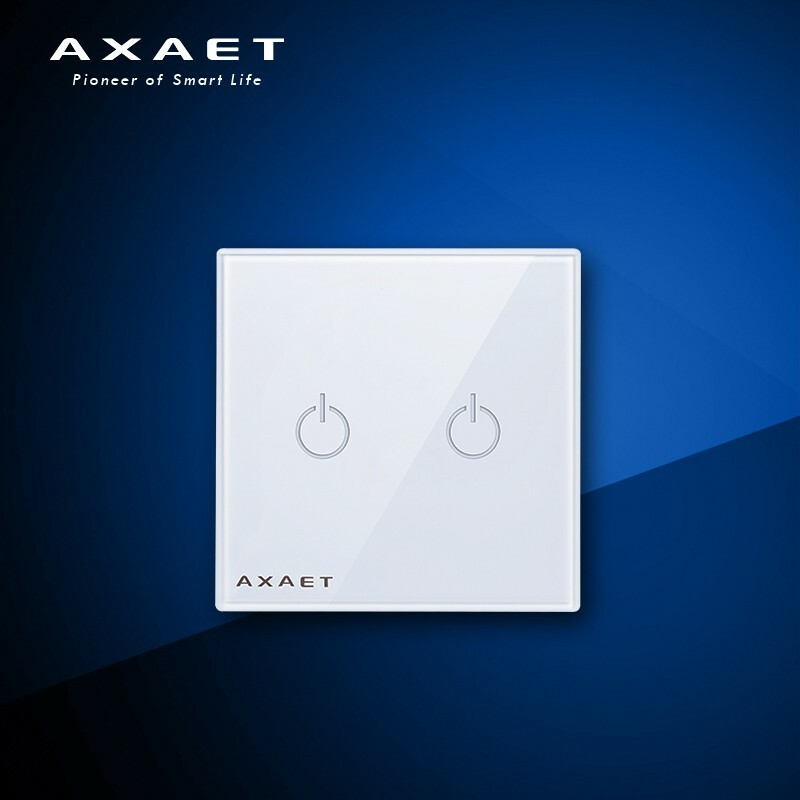 With AXAET smart Light Switch, you can set worry-free schedules for your lights. 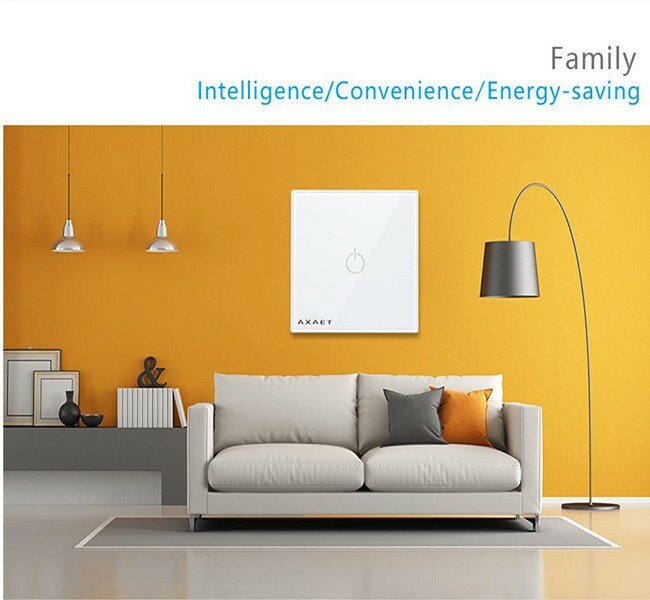 Using the free ETMars app, you can schedule a lamp to turn on at sunset, or keep your house comfortable by scheduling a fan to turn on before you arrive. 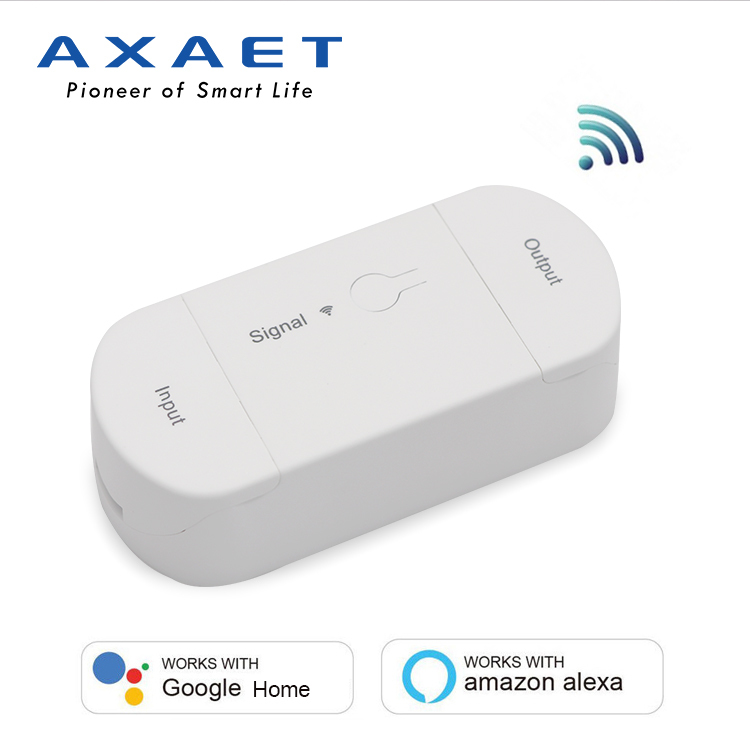 Using AXAET BLE gateway to make the light switch WI-FI enabled. 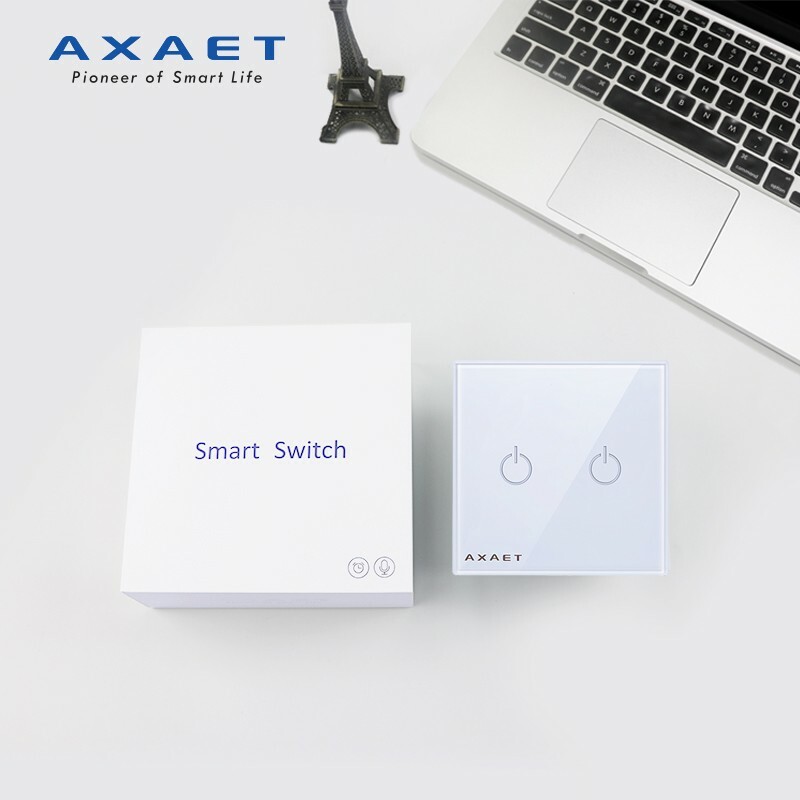 It is one more option for this smart switch. When paired with an Amazon Alexa or a Google Assistant device, This Light Switch gives you hands-free voice control over your home. Turn your lights, ceiling fans, or an entire room on or off using just your voice. 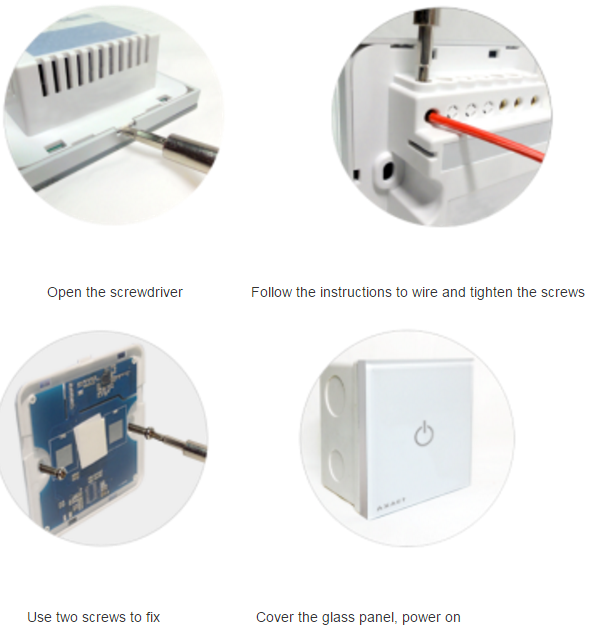 In order to keep it safe using, please follow below wiring diagram and match to our user manual to do the wiring process for the electrical switch. 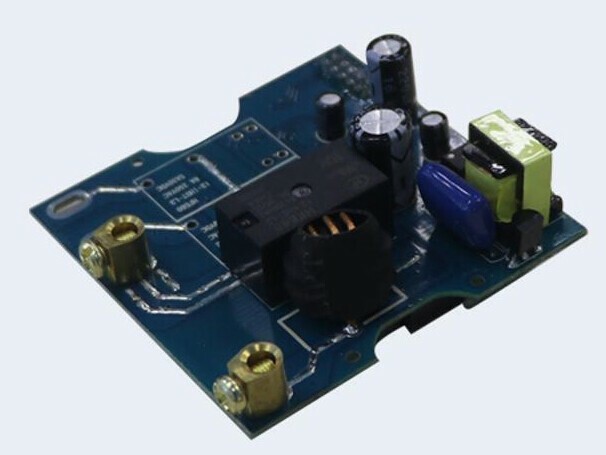 It is easy to make the smart switch wire to your home or office appliances to DIY your smart home living. Enjoy it! 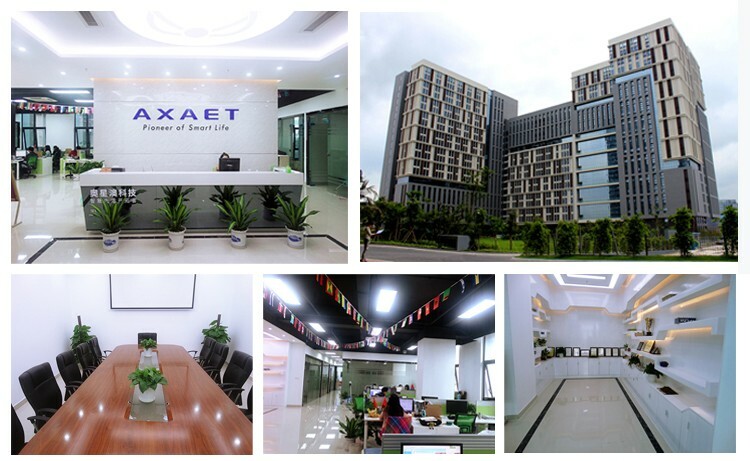 independently researched and developed new APP ETMars which is connected to with our AXA Cloud system to guarantee 100% satisfying experience with our smart plugs, switches, control boxes, gateway and etc.